H5 has booked all nine six-bed cells at the Darlington penitentiary on the Saturday night, plus there’s camping available if that’s your thing (same price – the event is heavily subsidised). 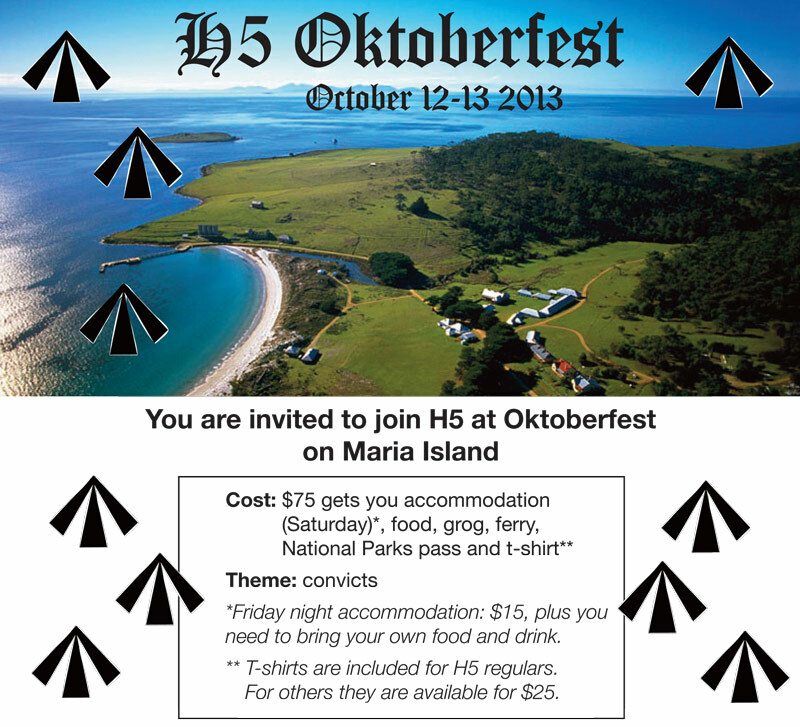 It will be a CONVICT themed event and you will be providing the entertainment. All attendees will be required to sing for their supper – if you’re shy, form a group. 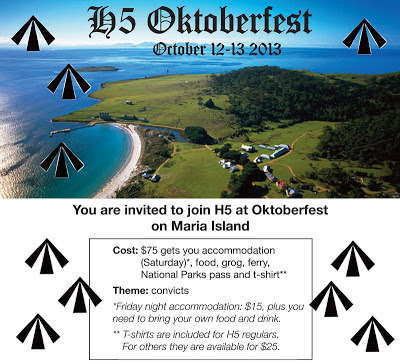 Payment can be made to H5 Hash Cash (KKK) or directly into H5’s CBA account: BSB: 067002 A/c : 28041332 - A/c name: Hobart Hash House Harriers & Harriettes. Please identify yourself when transferring payment.